Nanotech Plus develops its projects independently or in an alliance with firms and consultants focused on the business of nanotechnology. Charles Brumlik, J.D., Ph.D., Managing Director of Nanobiz, LLC, advises multinational corporations, investors, startups, and governments on technology assessment and commercialization. Dr. Brumlik is focused on commercialization, due diligence, and technology sourcing in alternate energy, materials, cleantech and nanotechnology. Application areas include membranes, separations, chemical functionalization, ultrafine particles, high surface area materials, cermets, displays, solid state lighting, sensors, and electronics. As a business attorney, he advises international technology companies, startups, and venture capital groups. At ExxonMobil, Honeywell, and a Princeton law firm, he specialized in transactional and patent issues in chemistry and materials science commercialization for corporations, academia, and governments. Commencing with his Ph.D. dissertation "Nanochemistry and Nanomaterials," at Texas A&M, Dr. Brumlik has over 20 years of experience working with nanotechnology. As a postdoctoral student at Colorado State University, he published widely on creating and testing materials, devices and systems in the nano and meso scales. He also collaborated with the National Institute of Standards and Technology (NIST) and international academic, government, and corporate research groups. 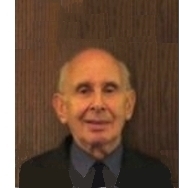 Arnold Burstein, President, MIJS Associates, has worked with life sciences companies for more than 30 years. He advises on both proprietary and generic product marketing, business development, manufacturing and general management. He is skilled in identifying and completing successful commercial development partnerships. Arnold is experienced in generating sales and profit growth, an innovative problem-solver, and a persuasive communicator. Arnold has worked on both sides of the aisle, holding executive positions with manufacturing companies (Schering Plough, Taro), service providers (QuestOne), and biopharmaceutical consultancies (BioClara Group, MIJS Associates). Client roster is available on request. 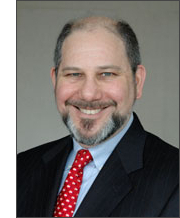 He is the author of articles on Rx to OTC switching and the future direction of the brand-name drug industry. Arnold Chaired the NY chapter of the Licensing Executive Society. 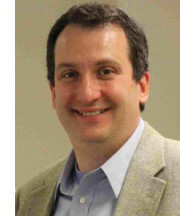 He has served as Adjunct Professor at Fairleigh Dickinson University and the New Jersey Institute of Technology, teaching graduate level pharmaceutical marketing. In addition, he mentors early stage life science entrepreneurs at ELabNYC. Education: BA Economics, City University of New York. MBA Marketing/Management, New York University, with Honors. Dr. Herbert W. Cooper has more than 50 years of experience working at the intersection of economics, technology and regulatory requirements. This includes the applications and production of advanced materials such as carbon nanotubes, many due diligence assignments, and optimization of the economic performance of production facilities during the design and operational phases. Technological, environmental, health and safety, and regulatory constraints are incorporated into the optimizations to help assure that the facilities can be operated in the sustainable manner required in today's world. Dr. Cooper received his Doctorate in Chemical Engineering from Columbia University, where he focused on thermodynamics and process design. In addition to his industrial work, he is the Chair of the AIChE's Metro NY Section. Intellectual Property: David Kalow, J.D. A veteran of large and small law firms, including 16 years with his own boutique firm (Kalow & Springut), David Kalow, J.D. is now a solo attorney focusing on IP strategy, helping companies and investors improve profits, revenue, value and ROI via better usage of all aspects of IP. He is an IP lawyer with over 35 years experience in litigation, licensing, protection and assisting corporate deals relating to combinations of patents, trade secrets, trademarks and copyrights, across a wide variety of science/technology/creative fields in physics, chemistry, biology, software and design, including nanotech, cleantech, bioinformatics, DNA synthesis, specialty and commodity chemicals, medical devices, pharmaceuticals, diagnostics, electronics and software. 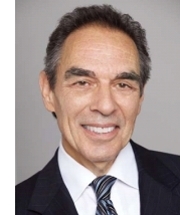 He is a graduate of the University of Chicago, College and Law, and is an author of many IP articles, a frequent lecturer on IP ethics and issues, a former adjunct professor at Seton Hall Law School (biotechnology and the law) and a former adjunct professor at NYU-Poly (IP management). As an attorney for Nanotech Plus, he assists with the mixed/combined business-technical-legal evaluation and analysis of opportunities and problems relating to nanotech and advanced materials.